Mother’s Day is right around the corner! And to get ready for the special day, Kingston and I will be on River City Live today at 11;30 EST showing 5 DIY gifts that kids (with help from Grandmas, Dads, Aunts!) can make for their Moms. These are the projects we’re featuring! Fabric covered picture frame. This was my favorite project! In fact, I made some frames for my Mom last Mother’s Day! 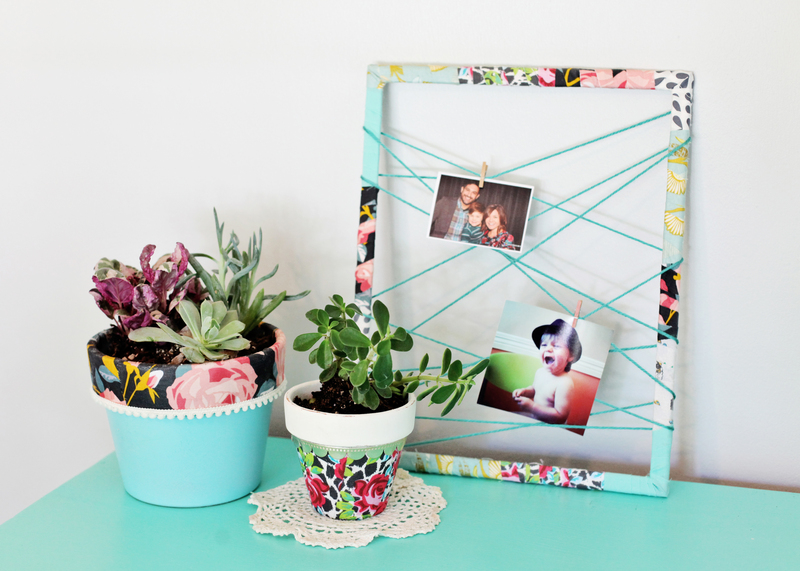 I bought a cheap frame from Dollar Tree and cut strips of some of my favorite fabrics. They were all leftover from random sewing projects. Kingston glued one end of each strip to the frame, and I wrapped it around and around until it was time for him to glue the other end. We repeated the process, overlapping each piece of material just a bit, until the entire frame was covered in pretty fabric. Then I glued a piece of yarn to the back and randomly wrapped it around the frame and glued the other end when I was happy with how it looked. Now it’s the perfect place to display photos using tiny clothespins! 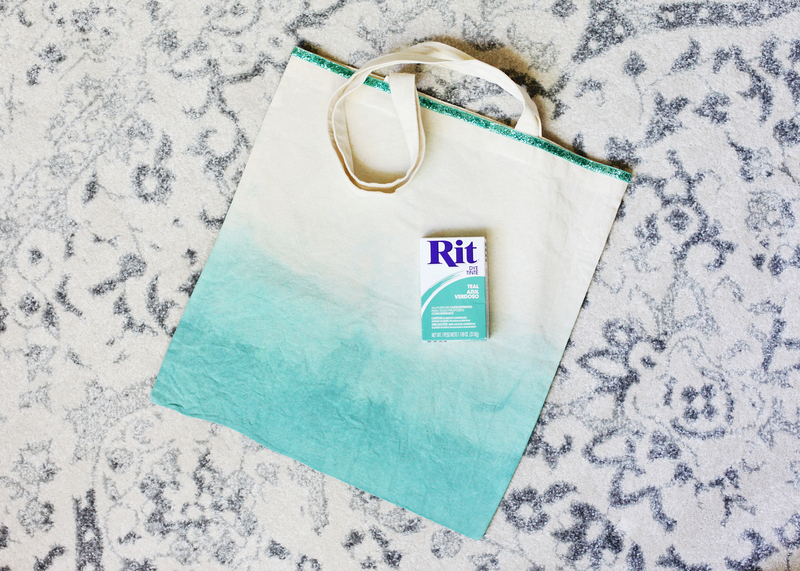 Dip-dyed ombre tote bag. I already had this bag on hand (craft hoarder status! ), but you can find them at most craft stores. I mixed teal Rit dye with a bunch of water in a bucket, and Kingston dipped the tote bag in the bucket for a few minutes. Then I gradually pulled more of the bag out of the bucket every 10 minutes, leaving the very bottom in the dye for the longest amount of time (about 30 minutes). We rinsed the bag with the water hose until the water ran clear then left it out in the sun all afternoon to dry. As a final touch, I glued a piece of teal glittery trim along the top of the bag. Fabric covered flower pots. I bought some cheap clay flower pots, and then we spruced them up by painting them. (If you make these, be sure to paint the top part of the insides. It shows a little once you get the flowers planted.) After the paint dried, I cut strips of a few favorite fabrics and glued them to the pots with Mod Podge. Once the Mod Podge was dry I glued decorative trim along the edges of both pots, and Kingston filled them with succulents. Painted Ball mason jars. I painted these jars with two coats of flat white latex paint but wanted them to have an old, weathered look. So once they were dry Kingston went to town with a piece of sand paper. Then we glued some fun trim along the tops. Now they’re ready for a bunch of flowers picked from the yard or picked up at Publix! 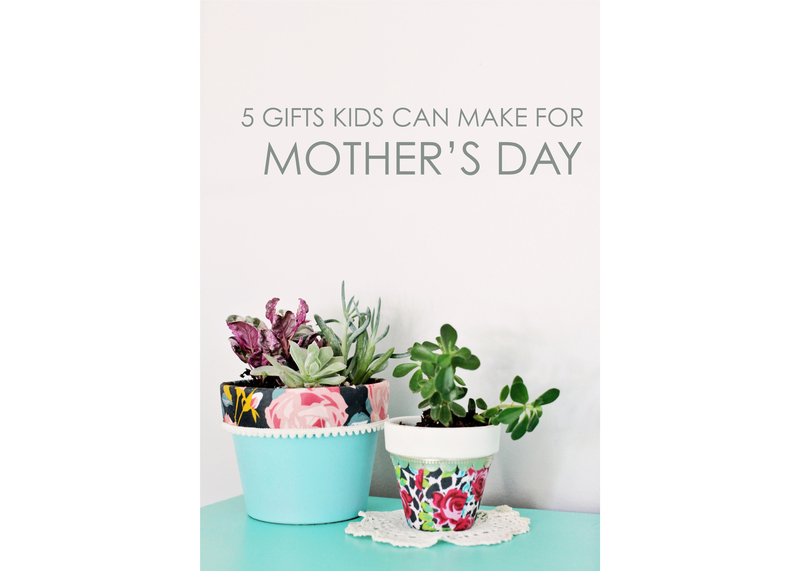 When I started working on this idea, I tried to think of gifts that Moms would actually enjoy. But let’s be honest, if our kids make any present for us, we can’t help but LOVE it!! !